A must for any bike tour! The Ultimate 6 Classic is made from waterproof polyester fabric and is the basic piece for every touring biker. 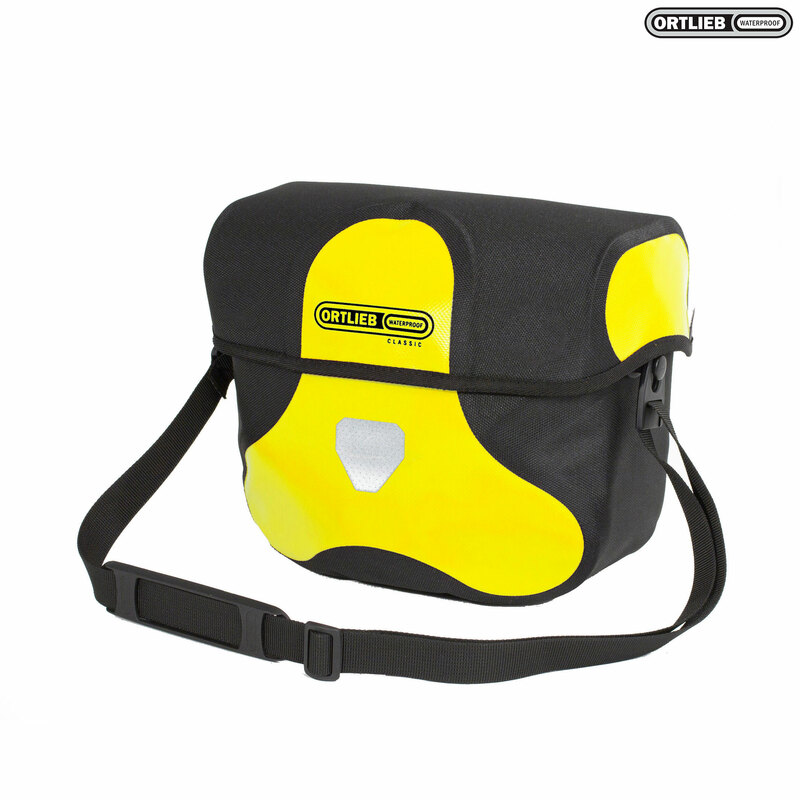 The lockable reinforced lid with magnetic closure and the lockable Ortlieb mounting set ensure stability and safety. Once fixed to the handlebar both lid and bag can be secured single-handedly. Wallet, ID and keys are stored safely inside the zippered valuables compartment or key snap-hook. Removable shoulder strap. According to SJS's information, this barbag can handle up to 5Kg, yet according to Ortlieb specs, it can only handle up to 3Kg. Can you advise which is correct, please, and make any suitable amendments, please?